Good morning, squiders! I hope your Thursday finds you well. Today we’ll be looking at aliens. Aliens come in a number of different flavors. You have your friendly aliens like E.T. You have your invading aliens ala Independence Day. You have aliens who have their own cultures and beliefs and goals, which can be presented in a totally unfamiliar way (such as insectoid aliens from Ender’s Game or Starship Troopers) or as friendly, relate-able faces that showcase different aspects of humanity. “Alien” is a word that has been used in English for hundreds of years. My Internet combing tells me that it came into usage in the 1300s as a word meaning a foreigner (a usage it still has, though perhaps less common) or an outsider. I’m getting mixed results on the word as meaning “someone from another planet.” One sources says 1920s. Another accredits it to John Wood Campbell in 1953 in Analog magazine. Who knows? Apparently not the Internet. Aliens have evolved throughout science fiction. Early science fiction, which often has adventurers exploring far-off-but-not-really locales such as the Moon or Mars, usually has extraterrestrial beings that are close to human beings (I’m looking at you, A Princess of Mars). Indeed, a lot of science fiction tends toward fairly human aliens. We touched on this a few weeks ago, but part of this is because science fiction tends to be an exploration of humanity, and by representing different alien species as different aspects of humanity (::coughStarTrekcough::) you can explore humanity as a whole. Another reason is because if an alien has an aspect of humanity to them, it makes them more relate-able to a human audience. If a character is supposed to be sympathetic, they’ll often have a human element to them. What are you favorite aliens, Squiders? Favorite exploration of alien vs humanity themes? Likelihood of an ancient, powerful society seeding other planets with life and/or rescuing the dinosaurs so they can earn their sentience and eat us in the future? 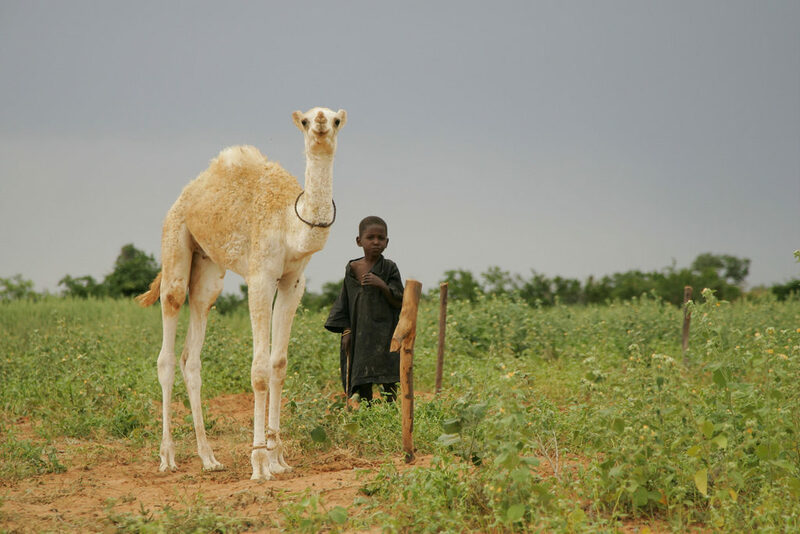 Ah, squiders, it’s been a long time since we’ve visited with Landsquid and Alpaca and those lot, but I found out today what a baby camel looks like, and it is amazing. Look at those legs. They go on forever. It’s a fluffy, ungainful mess. They’re adorable. And will still probably spit in your face. 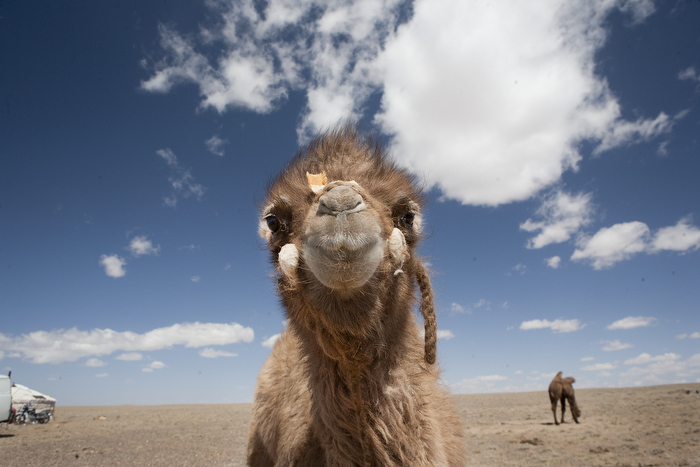 This has been your camel interlude. See you Thursday, squiders. We’re done! It’s a miracle. Oh, squiders. This one started out so much better. There were other characters! There was a clear plot! And then it spiraled down into insanity still. Sigh. I feel like we got an incomplete story. At the end of Undersea, Finn/Llugh/Ar Elon had disappeared instead of leading his people to war, as had been foreshadowed through both Yearwood and Undersea. And as it doesn’t seem like Paul Hazel wrote any more books related to this (there seems to be a fourth book, The Wealdwife’s Tale, which is not directly related), apparently that will just never be finished up. Winterking takes place at some unspecified time which I assume is roughly the 1930s. It’s after WWI (as I assume the “Great War” is referring to) and there are cars, yet if it wasn’t for those clues, I would assume it was earlier, sometime in the 1800s, because despite taking place in New England somewhere, it feels distinctly like Regency-era novels I’ve read in terms of setting/conventions. I had to keep reminding myself that this was supposed to be the New World because it felt like we were in England. We follow Wykeham, whom I originally thought was Finn but I’m pretty sure is actually supposed to be Wyck, who was present for most of Undersea though not seemingly of any import til the end. (Remember when I was talking about allegories about youth?) Finn gave him his cloak early-ish in Undersea which apparently made it so he could never age, and so he’s just gone on, forever, pretending to be his own son, in what’s a fairly standard I’m-immortal-and-this-is-how-I-don’t-seem-too-suspicious way. That part was interesting. And then it gets messy. So apparently Wykeham has the ability to remake the world, or at least a little section of it, whenever things start to not go his way, or whenever Duinn (the god of death) gets too close. I assuming Duinn is Finn/Llugh/Ar Elon, that this is the name he did not give in the last book, though this is never explicit. So I could be completely wrong. So Duinn gets too close, and there’s something about Indians burning churches (I really just…did not understand what the Indians ever had to do with anything. They’re in there from the beginning, and at first, before the whole world remaking madness cropped up, I assumed they were just your standard Native Americans handled indelicately because it was the ’80s. But later on I think they’re more of an indicator of how close Duinn is to catching up to Wykeham.) and Wykeham gathers nine men to him to remake the world again, and he uses the memories from himself and the nine to create the world, so it keeps people and conventions and things that people want in it. And then, and I’m just trying to make sense of the madness, something goes wrong with the new world creation, because it’s snowing, and there’s still Indians, and the stone kings from the first book, and I think the implication is that the women (who left during the actual world remaking) got into the process accidentally, or at least Nora did, since she didn’t get all the way away (distracted by Duinn) during the remaking, and also because she’s Wykeham’s daughter, and maybe somehow has some of the same ability. AND THEN THE BOOK JUST STOPS so there’s STILL NO RESOLUTION. Anyway, if you’ve read these along with me, I’m sorry. Also, I hope you followed what happened better than I did. Have a good weekend, Squiders! Hey gang! Here’s the first of the tropes post I was talking about last week! A trope, according to Merriam-Webster, is “a common or overused theme or device.” (Also “a word or expression used in a figurative sense” such as a figure of speech, and “a phrase or verse added as an embellishment or interpolation to the sung parts of the Mass in the Middle Ages,” so there you go.) Trope does have a bit of a negative connotation, normally something along the lines of implying that the creators are just sticking to common tropes and the work ends up being boring, shallow, derivative, or otherwise problematic. And yeah, tropes can be used badly, and you can end up with bad or boring stories. But they can also be used awesomely. And the reason why something becomes a trope is because, at its base, it is awesome and it’s something that people are attracted to. Most everyone has a trope or two that they really like and gravitate toward. My favorite thing about the superpowers trope is that anything goes for the source of a superpower. Bitten by a radioactive spider? Great! Spacecraft got hit by cosmic rays? Sure! Normal human evolution? Fantastic! As long as it’s vaguely science, go for it! The biggest issue with the superpower trope is that it’s easy to overpower a character. Look at poor Superman. He’s strong, bullet-proof, can fly, can see through walls, doesn’t need a spacesuit to go into space, can go back in time (when plot convenient), etc. And as a result, a lot of people find Superman boring. He can fix any problem easily, so often the plotlines get convoluted in an attempt to keep up a semblance of suspense. There are ways to overcome that, certainly–you give your character or the power itself a limitation. In fantasy, when we create magic systems, there tends to be a system of equivalency–some give and take. You can cast this spell, but it’ll make you blind for a day. Or you can perform this ritual, but if you do it wrong, you’ll be bound to the netherworld for eternity. Those same principles can be tied back to superpower usage. I like the trend with the superpower trope that we’ve seen lately, where we move away from your standard Superman or Batman and explore other aspects, such as kids gaining superpowers and having to deal with the fallout from that, or people taking over mantles that have belonged to other people and trying to live up to the name, or “normal” folks trying to work beside their superpowered allies. Oh, squiders. Why is it when you need something, and you know you just saw it, you can’t actually ever find it? I feel like the more important said item is, the more likely it’s been jettisoned into space, never to be seen again. In this case, I’m looking for the note sheet for when I did the Local Author Showcase for Shards so I can be properly prepared for the one this Sunday for City of Hope and Ruin. You know, not re-invent the wheel. Especially since I’ve already got to stress about going from the 10 minutes I had last time to 5 minutes for this one. Is 5 minutes long enough for anything? It’s all for naught, though, because my notes from the last one are gone. Vanished. Disappeared into thin air. I swear I saw them recently. I had to re-read Shards fairly recently to redo its book description (was that last year? yikes) and I think the notes were tucked in there when I picked my copy up. But where did I put them? They are no longer in the book (I’ve checked twice) and also don’t seem to be in the general vicinity of where the book hangs out (on top of the book case, currently under my copy of City of Hope and Ruin). I’ve checked everywhere I keep story notes. (Which turns out to be entirely too many places and I should probably consolidate. But hey! I found the map that goes along with Broken Mirrors, which I’m not sure I’ve worked on since before I started this blog in 2010, but at least I now know where it is.) I’ve checked inside notebooks, where papers sometimes accidentally get forgotten or tucked, and I’ve checked inside folders that I might have taken to something writing related at some point. I even checked in the filing cabinet, though I’m pretty sure nothing remotely creative has ever gone into it. So I guess I should just give up and write a new one. Drat. But again, 5 minutes. Do I squeeze in a 2-minute reading and do 3 minutes of intro/explanation? Do I just talk about the book and hope the process is interesting enough to get people’s attention? I am the only fantasy author in this particular bunch (8 authors), I think. I feel like for previous author showcases they’ve done a short blurb of each book and this one doesn’t, but going off of titles it sounds like most are nonfiction or memoir. Hard to tell. From fiction to memoir to children’s, please join us to celebrate these Colorado authors and their books. To register, click here. Well, at least I know where the rest of my promotional stuff is. Minor victories. See you Thursday, squiders! Good morning, squiders! The next month is crazy busy around here, so I thought I’d give you a heads up on what to expect here at the blog during that time (from now until approximately mid-September). I’d like to do at least one Library Book Sale Find. We haven’t done one since March and I still have a whole shelf full (plus I bought a new one at a library book sale I stumbled over a few weeks ago with some truly “epic” cover art. Ah, early ’90s). We’ve got the final readalong for the Finnbranch Trilogy (Winterking) on August 24. I should probably get on that though I am still a little grumpy from Undersea. I’m going to do a short series on awesome scifi/fantasy tropes, such as alternative universes and time travel. I’ll do one a week there, so other stuff will be interspersed so we don’t overload on the concept. I may also start poking at the next nonfiction topic, which will either be outlining or common writing problems, so if you have a preference (or if you have topics related to either you’d like to see discussed) please let me know! As always, if you’d like me to cover something specific, please feel free to contact me. I’m pretty open to whatever! In other news, I’m going to be speaking at a local author showcase on August 20. I did one for Shards some time ago but heck if I remember how exactly I set it up. I’m hoping to be able to find my notes from the last time so I can see what I talked about/timing, but that may be wishful thinking. Also, I believe I get less time than the last time as well. Has anyone done a talk/reading lately and have advice to give? I’ve also been working with MileHiCon for this year’s convention. I’m dropping the table in the Author’s Row after last year’s disappointments and instead focusing on doing panels, which should help both from a visibility and a networking standpoint. MileHiCon also offers co-op tables, where you can sell books/sign for a specific time as opposed to manning a table the entire weekend, so I’m also looking at doing that. Everything else continues a pace. How are you all?